It’s a new year and time to start getting organised! 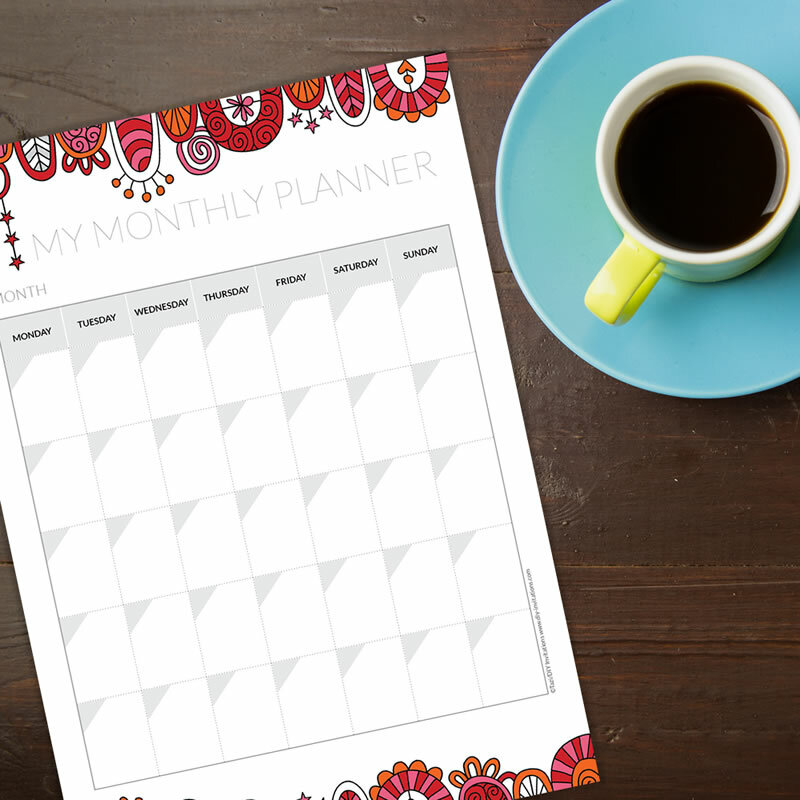 To help you get motivated I have designed a bright and cheerful blank monthly planner page. Feel free to download and print as many as you need. 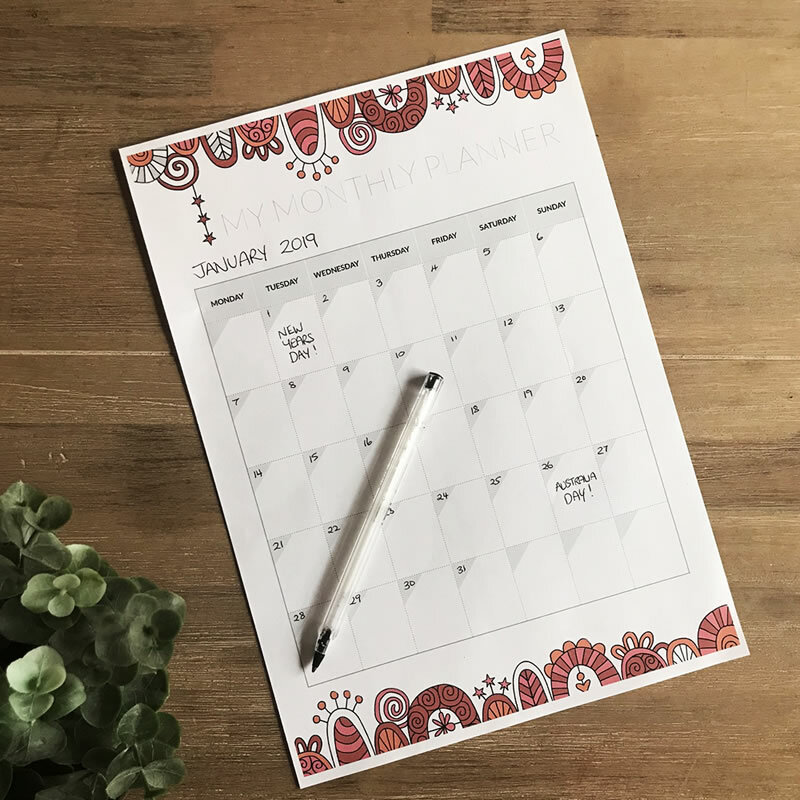 Fill in your month and dates and start planning your days!